Die beiden japanischen Autoren Takeaki Anazawa und Masanori Kimizuka geben uns tiefe Einblicke hinter die Kulissen der audiophilen Vergangenheit. Es ist durchaus vergleichbar mit den Büchern über das AGFA Magnetband, die BRAUN AG und den SABA-Krimi (und wir haben noch mehrere solcher Geschichten). - In diesen beiden langen japanischen Rückblicken stehen sehr viele Hintergrundinformationen, die es nie bis zu uns nach Deutschland oder gar in die USA geschafft hatten. Wer wußte schon, warum Max Grundig mit seiner besseren DC International Kassette aus dem Rennen geflogen war und Philips mit der CC Kassette gewonnen hatte. Diese Aufarbeitung (oder Studie) über die Schallplatten-Aufnahme zusammen mit der Aufarbeitung der Magnetband-Aufnahme - ebenfalls aus diesem Museum in Japan - ergänzt die bislang bekannten Bücher, Magazne, Hefte, Artikel und Web-Seiten über die überhaupt machbare Qualität der mechanischen Abtastung. - Beide Autoren beginnen mit einer Zusammenfassung und der Herleitung der weltweiten geschichtlichen Entwicklung, soweit sie dort im fernen Japan bekannt war. Andere uns nicht so bekannte technische wie auch kulturelle Zusammehänge werden ebenfalls deutlich. Das US-Embargo für alle technischen Geräte während des 2. Weltkriegs hatte dem Ehrgeiz der jungen Nachkrieges-Generation nocheinmal einen gewaltigen Schub Neugierde mit auf den Weg gegeben. Chapter 2 of this study, titled “The Birth and Rise of the Phonograph,” touches on related developments . The history of analog recordings dates back to 1877 when American inventor Thomas Edison came up with a new phonograph that enabled users to record sound onto a recording cylinder and replay that audio. In 1887, just 10 years later, German inventor Emile Berliner created the gramophone. The era from that time up until the end of World War I was one where the cylinder-based recording medium competed with the disk-based medium. Later, the disk medium, which was more conducive to mass replication, went on to dominate in the realm of analog recordings. Chapter 3 of this study, titled The Birth of Acoustic (Mechanical) Disk Recording and Playback, describes developments in Japan with respect to audio recordings . Toward the end of the nineteenth century, Japan began importing wax cylinder audio devices. At the beginning of the twentieth century, Western record companies began making recordings in Japan, and then reproduced those recordings back home for export to Japan. In 1909, a Japanese company began manufacturing disk-shaped records (single sided 78-rpm records, 10-inches in diameter), which were released under the “Nipponophone” label. One year later, in 1910, Japan’s first domestically produced gramophone player was released. Chapter 4 of this study, titled The Advent of Electrical Recording, describes circumstances ensuing after the end of the World War I. This era marked the advent of broadcasting, the success of which hinged on numerous developments, such as with respect to vacuum tube and microphone technologies. Such efforts ushered in an era in analog recording, beginning in 1924, where electrical recording offering superior audio quality came to replace earlier mechanical recording techniques that did not use electricity. Initially, users of gramophones would have to make their own recordings for playback sometime later. However, it became easier to mass-reproduce analog recordings with the advent of electronic recording, where records could be produced using conductive analog record masters with pre-cut grooves. Whereas this enabled distribution of analog recordings of music, it also gave rise to issues with respect to the piracy of music recordings. Meanwhile, up until the introduction of magnetic recording devices in 1950, broadcasters would create program content using disk-based recording equipment, one prime example of this being coverage of the Berlin Olympics in 1936. Japan also embarked on development of disk-based recording equipment offering performance and audio quality exceeding that of equipment from overseas, with the intent of using it in what were to have been the 1940 Tokyo Olympic Games. However, whereas the eventual cancellation of those games meant that those devices were ultimately not used for that purpose, they would later be used in broadcasting the imperial edict that brought World War II to an end. During the immediate pre-war to post-war era, many Japanese engineers engaged in original development efforts, which yielded breakthrough technologies, such as Filmon sound belt devices, which offered up to 36-minute recordings, the disk recording equipment mentioned previously, broadcast microphones, and magnetic recording devices. These technologies would go on to form the foundations of consumer devices developed in Japan after the war. Chapter 5 of this study, titled "The Shift to Longer-Playing" and "Stereo Disk Records", traces such developments. First, the chapter overviews developments with respect to methods for picking up sound with microphones and sound field reproduction. It then goes on to trace changes in sound pick-up and recording technology from the recording stage to that of editing, mix down, and cutting (disk mastering), both analog and digital. The chapter then touches on the topic of integrating recording and playback equalizers, and that of test recordings that draw on recording disk calibration methods and monitoring of recording devices. Explanations are also given with respect to development of technologies for correcting recording disk playback distortion and those for cutting grooves on recording media with up to four channels of audio. The latter half of Chapter 5 touches on technologies for manufacturing read-only records and looks at improvements in materials used in making records. More specifically, this section provides details on developments with respect to conductive properties of master recordings, the use of electroplating techniques with lacquer masters, manufacturing processes for master plates, mother plates and stampers, and record manufacturing processes. It also touches on changes with respect to base materials used in making records, and adds details about the flexi disc format (flexible records) and other special types of records. The chapter later introduces the subject of developments in record player technology, providing details about pick-up cartridges, tone arm and phono motors, throughout the respective gramophone, tuner equipped player and stereo set. Chapter 6 and later chapters delve into background details necessary in understanding technological developments. Chapter 6 goes into changes in the record and record player industries, and trends with respect to factory shipments. Chapter 7 looks at various standards, such as international, Japanese and industry standards related to recordings. Chapter 8 delves into numbering schemes of the International Standard Recording Code and respective means of copyright protection. Chapter 9 conveys details about artifacts still in existence. As this study suggests (hindeutet), American companies played a large role in the early days of analog audio recordings. On a more limited scale, Japanese engineers, fueled by a passion for such technology, also developed superior technologies on par with those coming from the U.S. Some prime examples of this include the likes of Koichi Tsubota, who developed a superior cutter head, Naotake Hayashi, who developed a world-leading condenser pick-up and condenser “ear speakers,” and Masaru Ibuka (SONY), who developed magnetic recording devices for consumer use. Many other world class consumer devices were later conceived of in Japan, including noteworthy developments with respect to the introduction of practical digital recording applications in the 1970s and the development and market launch of compact disc technology 10 years later. Meanwhile, some have asserted that digital technology is unlikely to surpass levels achieved using analog means in areas with a close connection to the arts. Going forward, it is hoped that audio engineers from Japan and other countries will mobilize their collective talents and knowledge in order to overcome such hurdles. Acoustics is a branch of the natural sciences that has been studied since the time of the ancient Egyptians and Greeks and is not merely concerned with making and testing physical and mathematical theories, but also the designing of churches, temples, and musical instruments. When the phonograph record was invented in the latter half of the nineteenth century, and freed from the limitations of hard classical craftsmanship in the twentieth, it gave a powerful impetus to the yet-unanticipated content industry, and heralded a time of growth and prosperity for the same. The content industry is tied into a wide range of technologies and disciplines, such as mechanical engineering, electrical engineering, acoustics, and chemistry. Acoustics, which underlies the content industry itself, is a fundamental interdisciplinary study that lies on the boundary of physics and engineering. This, accordingly, not only includes engineering, but many other fields besides. A notable characteristic of this industry is the fact that it encompasses not only technology that falls within the domain of engineered machinery, but also art outside of the domain of engineering. The history of the technical innovation surrounding phonograph records is actually full of great artists. SP (78er Schellack "standard play") records appeared during the peak of the career of the famous Italian tenor Enrico Caruso, enabling people to enjoy his voice through SP records and record players, and the marches composed by John Philip Sousa that Edison loved gave enjoyment to Americans through records and broadcasts. SP records have captured the renowned performances of the Spanish artist Pablo Casals, cellist, opponent of fascism, and artist of the same caliber as Picasso; and they have also captured the profound inner world of Albert Schweitzer, the organist, philosopher, and researcher of Johann Sebastian Bach. The era of LP (long play) and stereo LP records saw the first Japanese LP records (see 5.5.5), which captured the performances of Bruno Walter and other musicians who escaped the oppression of the Third Reich. The recordings of famous musicians who fled to Western Europe from Hungary in the upheaval after WWII cannot be overlooked either. Péter Bartók, son of the well-known Hungarian composer Béla Bartók, became a successful recording and sound engineer in New York, and made a recording of the celebrated cellist János Starker (also from Hungary) playing Kodály’s sonata for solo cello – which was said to have the sound of “flying rosin” – and which eclipsed all previous records to became the most famous LP record of its time. Fritz Reiner, who was a conductor for the first Japanese stereo LP records, was also Hungarian. EP (extended play) records are relevant to iconic singers like Hibari Misora, Elvis Presley, and the Beatles. Japan’s PCM (Pulse Code Modulation) digital audio recording efforts propelled Maria João Pires, a talented but obscure Portuguese pianist, into the spotlight with Mozart’s complete piano sonatas. Also world-renowned were the complete collection of Beethoven’s string quartets played by the Smetana Quartet (who were the pride of Czechoslovakia), and Mahler’s collected symphonies conducted by Eliahu Inbal. Whenever successful records have seen technical improvement, there have always been first-class artists supporting them. The history of phonograph records has seen the development of technologies such as recording and playback media manufacturing technology, content data recording technology, long-term storage technology, mass-production technology, distribution systems, and copyright protection technology. This expertise and these accomplishments will undoubtedly continue to be applied to the mass duplication-free distribution of digital content in the new fully-networked society. In 1877, 137 years ago, Thomas Edison invented the phonograph record. Some of the changes surrounding them that have happened since that time are shown in Fig. 2.1, such as recording media, recording techniques and other methods of production, the diameters of disk records, their rotational speed, groove type, base material, playback time, frequency response and dynamic range. Also included in Fig. 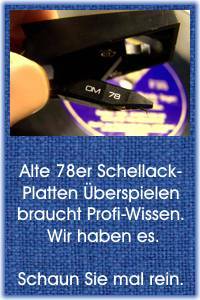 2.1 along with SP (78er) records, LP records (das waren die 33 1/3 upm 30cm Platten), EP records (das waren die 17cm und 25cm extended play Platten mit 33 1/3 und 45 upm) and CDs are phonograph cylinders, the Filmon Sound Belt, which was invented in Japan in the 1930s and which boasted over 30 minutes of recording and playback, compact cassettes, which became established as a medium for audio in their own right, and MDs, SACDs, DVDs, etc. The bottom row shows changes in broadcast technology, as well as the devices used to record programs, such as disk recorders, prototype PCM digital recorders, and MH microphones, all of which will be examined in this paper. As can be seen below, disk records have undergone (durchgemacht) drastic changes every quarter-century. Their history now spans 137 years, from the era of mechanically-recorded cylinders and SP records beginning in the late nineteenth century, through the era of electrically-recorded SP records, and the era of LP records and 45-RPM 17-cm (7-inch) EP records, to the era of 12-cm and 8-cm CDs. First came the early days of records, when cylinder and disk-type records competed for dominance, then came the era of 78-rpm mechanically-recorded disk records that lasted for a quarter century until the end of WWI (world war 1). During the next quarter-century period from the beginning of the Great Depression to the end of WWII (world war 2), electrical recording and transmission systems were developed for broadcasting, and these developments were also applied to records, leading them in to the era of electrical recording. This era saw the introduction of disk recorders into broadcasting stations as recording machines for use in the production of radio programs. Attempts were made to perfect stereophonic records, and records with increased recording and playback time were also attempted. In the 1950s, after mono LP records had run their course, the real era of LP, EP, and stereo records began. The late 1960s were the golden age of stereo LP records, but technology was already being developed that would underpin (untermauern) the next generation of records, and recording sites began to use digital PCM recording when it was practically implemented for the first time in 1972. More than 400 digitally-recorded albums were made during the next ten years, and the first digitally-recorded music recordings reached homes in 1982 in the form of CDs, a quarter-century after the era of stereo LPs had begun in earnest. Though Japan pioneered some of the popular technologies shown in Fig. 2.1, there were some, such as the Filmon Sound Belt and the CD-4 (a 4-channel record), that failed to gain popularity. Much of early Japanese recording technology was an imitation of foreign technology developed by AT&T Bell Laboratories and other companies. Some Japanese technologies of particular note are pressure microphones (see 5.1.1) and CDs, which were jointly developed by Japanese and European companies, and PCM/digital recording machines/editing machines/mixing consoles (see 5.1.3 and 5.1.4), all of which became successful on an international scale after they were developed with the active support of musicians and others in the music business. It is impossible to mention CDs without mentioning the fact that although more than 30 years have passed since their introduction, the quarter-century cycle of technical innovation in records has not continued, raising ever-increasing concerns about the lack of new developments. Although early records were invented and developed with the aim of making acoustic equipment that could record and reproduce sound on the same machine, with the diffusion of records via the new music distribution business, they came to be widely used in the early twentieth century as a means of distributing audio content. The history of this content distribution medium has been the history of man’s efforts to realize the efficient reproduction of high quality recordings, the history of acoustic improvements in playback quality, and the history of the trend toward increased playback times and three-dimensional (stereo) sound reproduction. The first records faced difficulties due to pirated copies being made, as high-quality copies could be efficiently and easily duplicated. Piracy began quite early in Japan, where in 1912, in the last days of the "Meiji period", pirated records were made and sold by buying and electroplating records to make stampers. large-scale illegal distribution such as record piracy and overpressing, where extra records would be produced without permission. This paper will continue to report on the systematization of record technology, which underwent a revolution every quarter-century. In the U.S. on December 6, 1877, Thomas Edison invented the cylinder phonograph, the first talking machine that could record and reproduce sound. This experiment in recording used the nursery rhyme “Mary had a little lamb,” recited by Edison himself. The original recording has unfortunately been lost, but another recording of Edison reciting “Mary had a little lamb” from the 10th anniversary event of the phonograph has survived, and is available for people to listen to (Japan Audio Society 60th anniversary commemorative CD). This phonograph recorded and reproduced sound by pressing a needle attached to a diaphragm from a telephone transmitter onto a sheet of tin foil that was wrapped around a helically-grooved metal cylinder, with the initial intent of recording and reproducing sound in a self-contained unit. In 1888, prompted by the increasing need for pre-recorded cylinder records for reproducing music, Edison released an improved version that recorded onto wax cylinders, and the Columbia Phonograph Company also began selling molded cylinder records in the following year. Edison continued to make improvements, releasing the "Triumph Model A" for household use in 1896 and the "Standard Model B" wax cylinder phonograph in 1901. Figure 3.1 shows a wax cylinder phonograph. On September 26, 1887, 10 years after Edison invented the phonograph, Emile Berliner invented the gramophone, which was first talking machine to use flat disks. He sang the children’s song “Twinkle, twinkle, little star” for its first recording test. One may still listen to this recording (Japan Audio Society 60th anniversary commemorative CD). The gramophone recorded sound waves as lateral vibrations on wax-coated zinc disks, which were then etched with acid to make grooves. In this method, the master disk was electroplated to make stampers, which were then used to press appropriate materials, and it had the advantage of being able to produce large quantities of records. However, the grooves of disk records (which were usually laterally recorded) had a lower amplitude than those of cylinder records (which were usually vertically recorded), the etched sound grooves had a rougher surface, and additionally, the ebonite or vulcanized rubber substrate made a very disagreeable scratching noise, so disk records did not equal cylinder records in audio quality until the first half of the 1890s. In 1897, Berliner improved the methods and material used to cut the wax master disks in order to obtain better sound quality. The competition between cylinders and disks intensified as they entered the twentieth century. In 1902, the "Columbia Gramophone Company" (previously known as the "Columbia Phonograph Company"), which had been producing wax cylinder phonographs, began selling disk records, and in France in 1907, Pathé Records, which had been selling cylinders, began selling disk records employing the same vertically-cut recording method (Tiefenschrfit) as cylinders. In 1912, Edison released the “Diamond Disc” record, a high quality vertically-cut disk record that could record vertical high-amplitude signals by virtue of its thickness. Figure 3.3 shows a Diamond Disc record. Even Edison began to sell disk records, and when Decca portable gramophones came to be widely used by British soldiers after WWI broke out in 1914 to help them to pass the time at the bogged down front, making portable gramophones and disk records almost military supplies, the ease with which disk records were mass produced indicated the eventual triumph of disk records over cylinders. Over in Japan, Edison wax cylinder phonographs were reportedly being imported and sold by Waichi Araki (owner of Araki Shoten) in Osaka in 1896. Various accounts exist of Japan’s first disk recordings, but it is generally accepted that Japanese music began to be recorded after recording equipment was transported by the Gramophone Company in England to Japan in 1901 so that they could record Japanese music. They worked with "A. Cameron & Co" in Kobe City and recorded 170 7-inch records and 110 10-inch records over the period of a month at the Hotel Metropole in Tsukiji, Tokyo. Recordings were made of gagaku, tokiwazu, kiyomoto, nagauta, and other forms of traditional Japanese music. The master disks were taken to England, where they were used to produce records that were then exported back to Japan. One such record is shown in Fig. 3.4. Various American and European companies went to Japan to make recordings in the wake of the Gramophone Company in 1901. Columbia Phonograph recorded 900 single-sided disks with performances by the master musicians of the Meiji period in Japan during 1905 and 1906. Wega from Germany also made recordings in Japan in 1906, followed by the Victor Talking Machine Company in the U.S. in 1907. Wega is said to have produced over 3,000 SP records. Japan’s first gramophones and disk records appeared in less than a decade after the turn of the twentieth century. The "Japan-American Phonograph Manufacturing Company" pressed the first Japanese-made disk records (10-inch single-sided records) in 1909, which were then sold through Nippon Chikuonki Shokai. Figure 3.5 shows a single-sided SP record of the nagauta “Kuramayama” performed by Ijuro Yoshimura, which is a typical example of a Japanese-made record sold by Nippon Chikuonki Shokai at the end of the Meiji period (1912) under various labels such as Symphony and Nipponophone. At the end of the Meiji period, shortly after Japanese-made disk records became available for sale, pirated records containing the same song as the ordinary record shown in Fig. 3.5 appeared on the market for lower prices. Figure 3.6 shows two such records. It could be argued that these SP records are not pirate copies as they were not illegal under contemporary legislation, but the fact remains that the performers were never paid. This kind of piracy remained rampant (grassierend) until laws were enacted during the Taisho (1912– 1926) period. Until then, expensive records that paid royalties to performers were targeted. Pirates would buy two single-sided records containing hit songs, then electroplate them to make molds, manufacture copies, glue on attractive authentic-looking labels, and sell them as double-sided records without paying any royalties. Aus der "Japan-American Phonograph Manufacturing Co." wurde die "Nippon Columbia Co., Ltd."
In 1910, shortly after disk records became available [in Japan], Japan Phonograph Trading (previously named The Japan-American Phonograph Manufacturing Co., Ltd., now Nippon Columbia Co., Ltd.) released the Nipponophone Model 25 (numbered after the retail price of 25 yen), the Nipponophone Model 32 han (32.5 yen), the Nipponophone Model 35 (35 yen), and the Nipponophone Model 50 (50 yen), which were the first record players to be made in Japan. Although they were called various names at the time, they eventually came to be known as chiku’on-ki (which translates as “sound-storing machines”). A Nipponophone Model 35 and Model 50 are shown in Fig. 3.7 and Fig. 3.8 respectively. In 1911, Nippon Chikuonki Shokai released two models of record player that had an internal horn instead of a morning glory-shaped external horn. One of these, the Eufon, is known to have been favored by the famous author Kenji Miyazawa. The exterior is shown in Fig. 3.9. In the early twentieth century, cylinder and disk record players had exposed mechanisms and large horns that were frowned (mißbilligt, abgelehnt) upon by housewives. Then in the U.S. in 1906, the "Victor Talking Machine Company" released the "Victrola", which featured an internal horn concealed inside a wooden cabinet. This improvement in external appearance was accompanied by the introduction of acoustic improvements such as horns with longer equivalent lengths and the adoption of duralumin diaphragms in soundboxes (the section of a record player that turns vibrations from the needle into sound). These acoustic improvements continued into the late 1920s, and led to the advent of magnificent machines that were known as “grand gramophones” such as the HMV Model 194 (England, 1927–1930) and the "Orthophonic Victrola Credenza" (USA, 1925–1928), and other outstanding tabletop record players, portable record players, and record players with horns. Technical masterpieces were made that were said to cost as much as a house. One such machine, the Victrola Credenza, is shown in Fig. 3.10.